You just signed a contract for your first multifamily property, and you are super-excited to start life as a professional investor. You’re incurring legal fees and you’ve just sent the bank a five-figure good faith deposit so it can start paying lawyers, engineers, and environmental specialists to start work on the deal. You’re committed now. You start interviewing management companies, and when you mention the property, you hear someone sucking breath on the other end of the phone. Oh, that property. You know about its reputation, right? And you read about that huge drug bust there last year? What am I getting myself into, you begin to wonder . . .
Then the bank calls to tell you that, because the flood maps were recently updated, you will need expensive flood insurance on the property, even though the seller did not. You relied on the seller’s financials to calculate your expenses . . .
A week later, the lender mentions that the annual property tax escrow is going to be 40 percent higher than you underwrote. “Wait a minute!” you say. “The property tax on this property is only $25,000 a year.” The county will re-assess the property after sale, and according to the formula, property taxes will now be $40,000 a year, the banker tells you. The expenses on this property are way more than you thought. It’s really worth less than you’ve already agreed to pay. And, even if you terminate the contract now, you’re still out of pocket for costs. Is there any way that you could have learned about these matters before you signed the contract? Well, yes. And, thanks to modern technology, you can do most of it for little or no cost from the comfort of your living room chair! So, before you incur legal fees or write a big check to a bank to start due diligence, be sure to follow this Armchair Due Diligence checklist. Some sellers provide only a year-to-date or trailing twelve-month financial statement and a current rent roll. While this may be enough to do a quick-and-dirty underwriting, at the very least you want to get 2-3 years of operating statements and 12 months of rent rolls. This will help you understand the property’s historical occupancy, any seasonal fluctuations in revenue, and the annual expenses. Often the analysis stops here, because the picture this information paint tells you not to waste any more time. But assuming that’s not the case, proceed to the next steps. It’s critical to research whether your property is in a flood plain, even there’s no obvious source of water nearby. If it is, your lender will likely require you to purchase flood insurance, which adds to your costs. Do not rely on the seller to provide this information, because the Federal Emergency Management Agency (FEMA) revises the flood maps from time to time, and the maps may have changed since the seller purchased the property. Don’t wait until after you have set a contract price for the property to find out that your insurance costs will be higher than you expected! Property taxes are one of the biggest costs of multifamily housing ownership. And what you will pay after you close often differs from what the seller has been paying. Even if the seller provides you with historical property tax bills before contract, you must do your own research. Often property tax bills are posted online. Otherwise, call the taxing authority and ask for the past 2-3 years’ tax bills. More importantly, make sure you understand how the jurisdiction calculates property taxes. Some jurisdictions re-assess taxes after a sale, while others re-assess on a set schedule. The property tax clerk is often happy to walk you through the entire process. Without accurate property tax information your underwriting will be unreliable. It’s vital to understand how taxes will change after sale to ensure you don’t overpay for the property. Google maps can be very helpful, especially when you are researching a faraway property. The map feature tells you what’s nearby. Is it close to schools, supermarkets, or popular retail? Is there major road access nearby? How about major employers? You can even use the map feature to calculate how many minutes’ drive the property is from major landmarks in the area, like schools and employers. The satellite view provides information about the blank spaces on the map. Is the property surrounded by other apartments? Or is it the only multifamily property in an area dominated by single-family homes? Are those houses small, or are they mansions with backyard pools? This is vital information about the surrounding neighborhood. Finally, review street view. Even though the footage may be slightly out of date, it will provide a picture of the property and its surrounding neighborhood. You might be able to see in street view whether the area is well-kept or strewn with garbage and cars up on blocks. You should also check out the competing properties on street view. 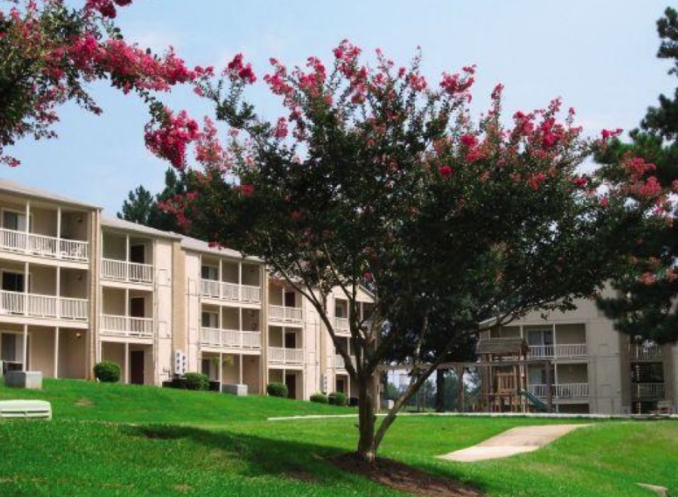 Being zoned for a strong local school is a very valuable attribute for an apartment property. Good schools attract good tenants. An affordable apartment in a top school district will maintain higher occupancy under all economic conditions. Avoid markets with declining populations. Over time, apartment supply will rise relative to population, even if no new supply enters the market. Conversely, all things being equal, a growing population means higher occupancy. Population statistics on the metropolitan statistical area (MSA), county and town level are available at the U.S. Census Bureau’s website (U.S. Census Bureau QuickFacts). Websites like the US Hometown Locator (Hometown Locator) can provide population data down to the zip code level. Many states, counties and municipalities also publish their own demographic and economic data on a regular basis. It’s important to review population growth rates on multiple levels because sometimes cities exhibit population “growth” that really resulted from annexing the surrounding areas. The area population is not really growing in this case; more of it is simply coming within the city limits. Researching on both the MSA and zip code levels can bring population-growth-by-annexation to light. Ideally, you want to see past and predicted population growth at all levels, from zip code to MSA. You want to make sure that people are coming to the overall area in general and to the property’s specific neighborhood in particular. The only exception to this rule is rapidly gentrifying areas, where young, single people and childless couples are replacing families, and homes that had once been divided up into apartments are being re-converted into single-family homes. But understanding that population decline is resulting from gentrification will be difficult to determine just from the numbers. It requires intimate knowledge of the neighborhood. You must understand the supply of apartments in the local market. The Holy Grail is a market where the population is rising faster than new apartment supply, as is happening in certain areas of the South and West. This could be the result of high construction costs, zoning that limits new multifamily supply, or simply the time new construction takes to reach the market. Brokers, particularly at larger companies, often subscribe to data services such as REIS, Axiometrics or CoStar, which compile data on existing apartment supply and apartments in the construction pipeline. If the broker won’t or can’t share this information, it may be worth the $150 or so it will cost you to download the property report from REIS. However, REIS, etc., only maintain data on larger, professionally managed properties. If you are buying a small apartment building, it may be harder to come by this data independently of the broker. It’s also worth calling the local building department, which may tell you the number of multifamily building permits on file – which indicates the pipeline of apartments coming on line in the next couple of years. Understanding the local vacancy rate is very important to accurate underwriting. You don’t want to use a standard vacancy assumption of 5% if the local vacancy rate is really 10%. Brokers can provide you with vacancy rates, but for independent verification you should go to a provider like REIS, Axiometrics, or CoStar. Keep in mind that, statistically speaking, larger professionally managed apartments have lower vacancy rates than self-managed “mom & pop” properties, so if you are buying a smaller property you may need to assume a higher vacancy rate than that shown by a REIS report. While a current rent roll is the best starting place to understand rents at the property, you must verify the rents independently. The best way is through a lease audit, where you compare every actual lease to the rent roll. But, since you generally cannot access the lease files pre-contract, one way to verify the asking rents (“market rents”) is to pose as a customer and call the property. Don’t just inquire about rents. Ask if they are offering any “specials” to new tenants. This will help you understand whether the property is really getting the “market rent” or whether “market rent” is just a number the seller made up. Then call the property’s competitors and ask the same questions. This will help you understand where the property’s rents are relative to its competition. If your rents are substantially below market for units of similar size, amenities, and location, you know you can probably raise rents after you purchase the property. When you “shop” the properties this way, ask as many questions as you can to get an idea of how the properties stack up against one another. Pretend you are from out of town coming to take a job and you want to know about the size and layouts of the apartments, the rents, any specials, the property’s amenities, what restaurants, shops, and supermarkets are nearby, whether anything is in walking distance, and what the zoned school is. Unless you’re planning to do a major repositioning of the property, you probably want to avoid an asset with a terrible reputation in the market. One way to research the property’s reputation is to read online reviews. You should take these with a grain of salt, however, because people who aren’t upset about anything tend not to take time to write apartment reviews. Watch out for a high volume of bad reviews, as opposed to just one or two. And pay attention to the date of the reviews. Are they from years ago, very recent, or consistent over time? Recent reviews could be evidence of current problems, while only old reviews could show that a property has fixed its issues, perhaps with new management or ownership. Local property management companies may be a better source of information. Good managers will know all the properties in the neighborhood, so they are an excellent source of information on the property’s past and current reputation. They also understand the local neighborhood and market. Ask to interview them as a potential client. Once you’ve established that you trust them, ask their opinion of the property you’re targeting and its competitors. You must understand the local economic situation before you invest. Is unemployment rising or falling in the local market? The U.S. Bureau of Labor Statistics (BLS) publishes a monthly report on each metropolitan area, which can be found here: BLS. In addition, many states, counties, and municipalities publish their own employment data. Don’t just review the local unemployment rate or whether it’s rising or falling. You must look at the actual number of jobs in the market and whether jobs are rising or falling. This is because the unemployment rate depends on how many people are looking for jobs. Even if the number of jobs stays the same, if more or fewer people are looking for jobs it will change the unemployment rate. You should look at several months of data for your market. It’s also helpful, especially when you’re looking in a new market, to search Google and the local press for economic news. This way you can learn about major local economic events, like factory openings and closings. You must also understand the local economic drivers. What are the biggest employers in the area? Is the area overly dependent on one or two employers or industries? How diversified is the local economy? Local city and county governments often publish lists of the largest local employers. Get back on Google Maps and find out how close these major employers are to the property you’re researching. Review recent sales of similar properties to be sure that your offer price is not out of line with the market. Brokers usually have this data at hand, but beware of them cherry-picking comps that make it look as though your deal is a good one. It may be worthwhile purchasing the REIS or CoStar report, though the problem here is that the data may be several months out-of-date. Talking with multiple brokers about sales they’ve closed recently may also help you get this information. The capitalization rate, or “cap” rate, is the unleveraged return on property. In other words, it’s the return an all-cash buyer would receive. It’s calculated by dividing the net operating income (i.e., before mortgage payments and capital expenditures) by the purchase price. Cap rates provide a basis for comparing the price of one transaction to another without regard to the transaction’s capital structure. Cap rate information is imprecise and somewhat hard to come by. Yet it’s good to have an idea of what the prevailing cap rates are. REIS and CoStar have cap rate information but it tends to be slightly out of date. To obtain current cap rate information, ask multiple brokers in the local market. Of course, brokers have an incentive to tell you the cap rates are lower than they really are, because lower cap rates translate to higher sales prices. But it’s good to have a ballpark idea in any case. Calling the local fire and police departments is an important due diligence practice. The fire department will tell you whether there have been any fires at the property (so you can investigate possible cover-up work by the seller) as well as whether there are any outstanding fire code violations on the property. It can also tell you how far away the property is from the local fire station, which can affect your insurance rates. The police department can tell you how often they are called to the property and the reason for the calls. If they tell you that the property has a reputation for gang or drug activity, it’s best to stay away (unless your business is turning around troubled properties). You should also ask the police the immediate neighborhood’s reputation for crime or safety. Even some professional investors follow these steps after going into contract, as one of their last due diligence items. That makes no sense. If any of these items were a deal breaker for you, like the property being in a flood zone, the population declining, or the presence of drug activity, you should know before you spend a dime on the transaction. Checking these items off your due diligence list before you go into contract will save you time, aggravation, and money in the long run. Excellent, thorough explanation and overview of crucial due diligence items for multi-family investment. Thanks!